The medical institution houses the Pediatric Center; the seven deaths came from, what at the time was, 18 infected kids. 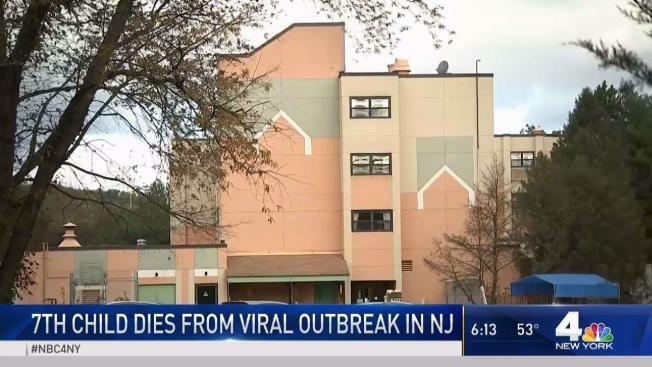 The 19th case of adenovirus at a long-term medical care facility in New Jersey was confirmed by the state’s Department of Health Thursday. The latest update follows news of the Wednesday death of a seventh child who was being treated at the facility, the Wanaque Center for Nursing and Rehabilitation in Haskell, Passaic County. The facility has been instructed not to admit any new patients until the outbreak ends and they are in full compliance, the DOH said Tuesday. The 19th case occurred in a resident who had already been sick, health officials say. The patient had become ill before Oct. 22 — the most recent date of illness onset. "The Department continues to work very closely with the facility to ensure that all infection control measures are being followed," DOH added in a new statement Wednesday. The Wanaque Center did not immediately respond to request for comment. The state's Department of Health says the investigation is ongoing and says additional lab tests could confirm more cases.